All-Star Cheerleading Teams are for those students who want to be a part of competitive cheerleading program. Enrollment in a Sharks Team will be determined by try-outs held once per year or a scheduled Directors Skill Evaluation. Each athlete will be evaluated on the following skills; standing tumbling, running tumbling, and jumps. The execution of these skills determines the team in which they will be placed. We will also offer teams for kids with no tumbling experience in our program. 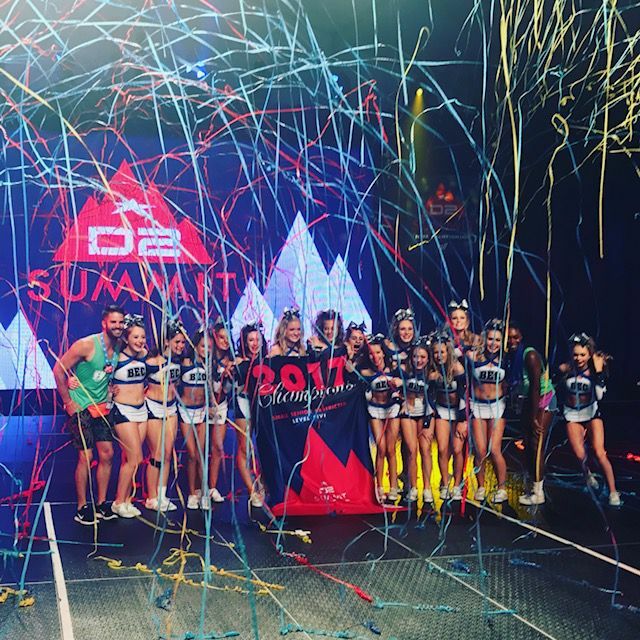 The teams with limited tumbling experience are able to discover the joys of competitive cheerleading within their ability level. All team members must adhere to the team policies in the Competitive Cheer Handbook.